Boarding is divided into five bright, modern and comfortable dormitories relevant to boarders’ age and gender. The dormitories for boys are called South and North, with a common room called Willow that can be changed into a dorm when necessary. The dormitories for girls are called Cedar, Beech and Sycamore. All dorms are newly decorated with insulated curtains, bunkbeds, clothes storage and bookcases. Many of the dorms have soft furnishings and toys. There are televisions for the girls and the boys but pupils must ask permission before watching TV. 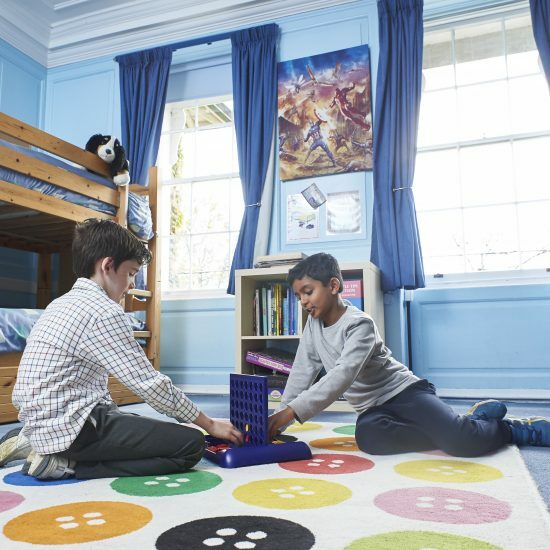 Dorm time is a time when pupils can unwind with their friends and make new friends. We try to make it as relaxed a time as possible. Staff and Gaps are always on hand to help the boarders and talk to them. All pupils have showers before bed and can call their parents, read, play, chat and do some prep. This is also a time for dorm discussions and boarding forum meetings. 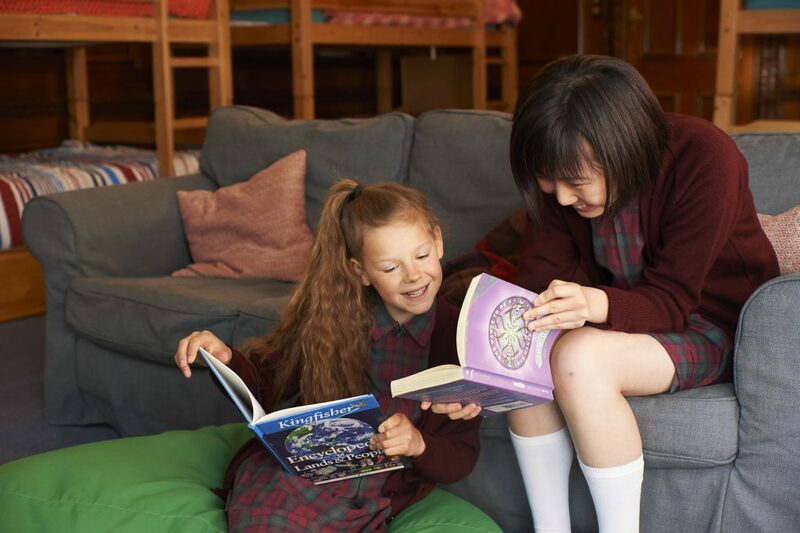 We have an experienced and caring boarding team who will support the boarders throughout their time in the boarding house. They are always available to talk, to help with routine matters and to create an enjoyable environment. Mr Brian McManus is the Head of Boarding and Housemaster. He has worked at Edge Grove for over 8 years and has had a variety of roles including Director of Sport, Activities Coordinator and Lower School Teacher, all of which have helped to prepare him for life as the Head of Boarding. He has also taken a number of groups on expedition week and school trips to Sri Lanka and St Vincent. Miss Dolly Grounds in the Housemistress and has been in her current role for five years. She knows the pupils well and they always know that they can go to her if they need anything. The boarding team also comprises a number of academic staff who support the evening activities and help the boarding team to get the children to bed. The Gap students and Graduate Gaps are all invaluable members of the team. 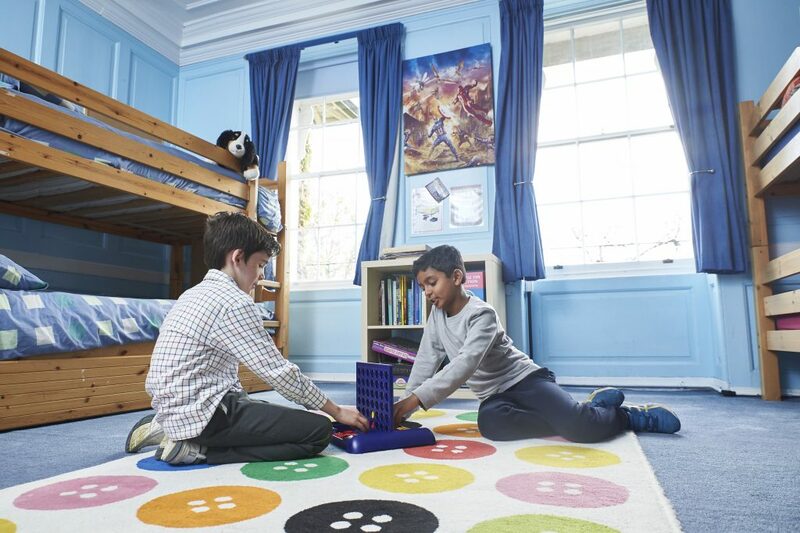 The boarders love spending time with the Gaps and can often be found chatting to them, asking for their help, playing games or reading together.